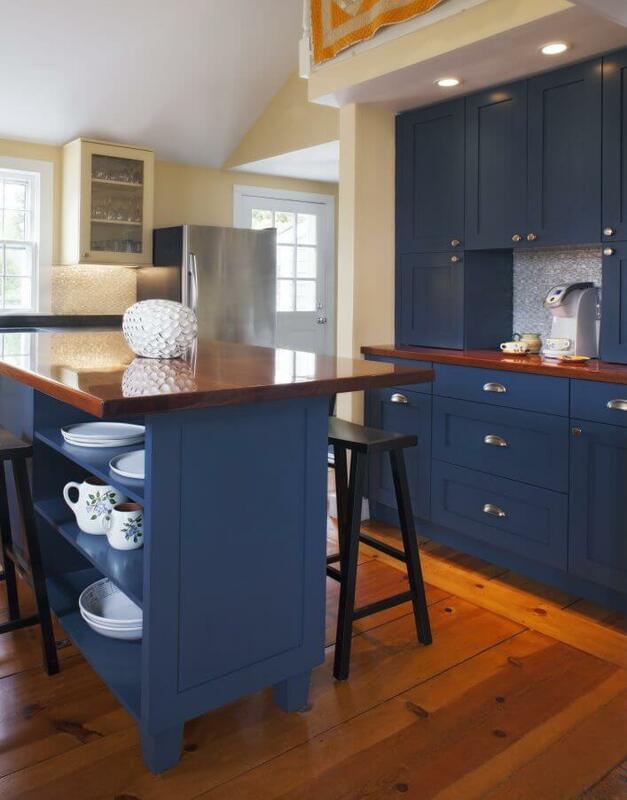 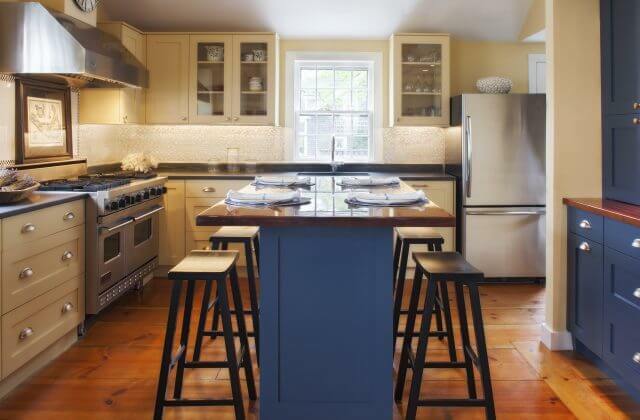 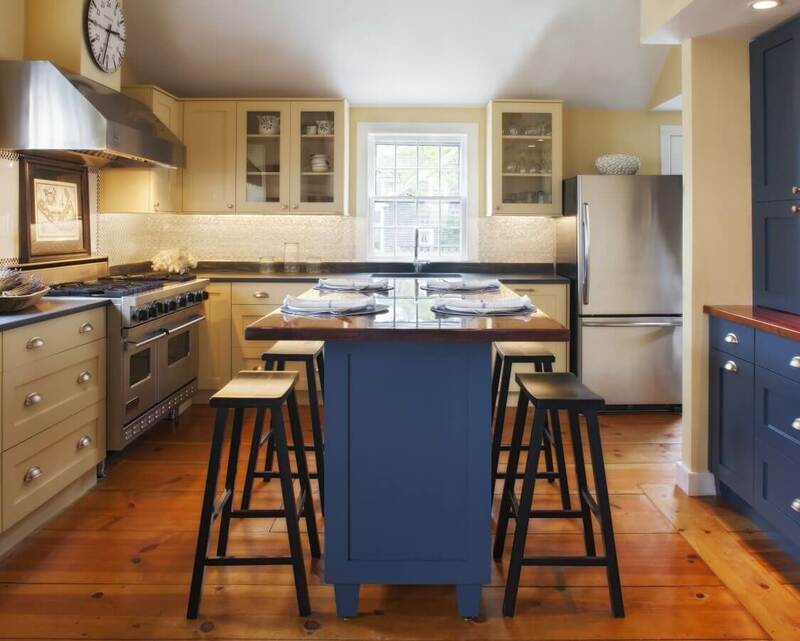 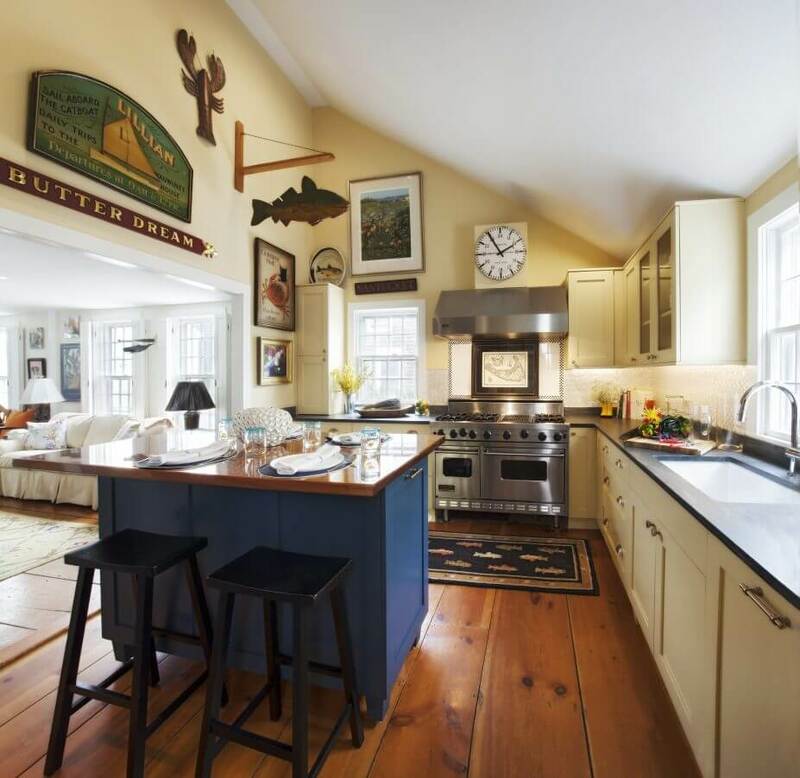 White Hart Interiors & Development commissioned Superior Woodcraft to create custom-made cabinetry for this stunning Nantucket custom kitchen. 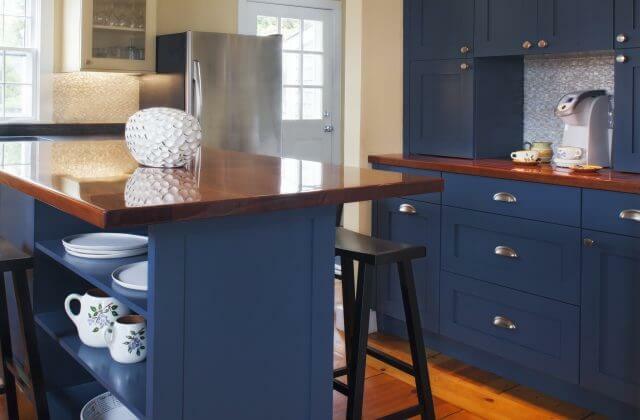 This bespoke kitchen features cabinetry finished in a stunning custom blue paint and delicious looking butter cream finish. 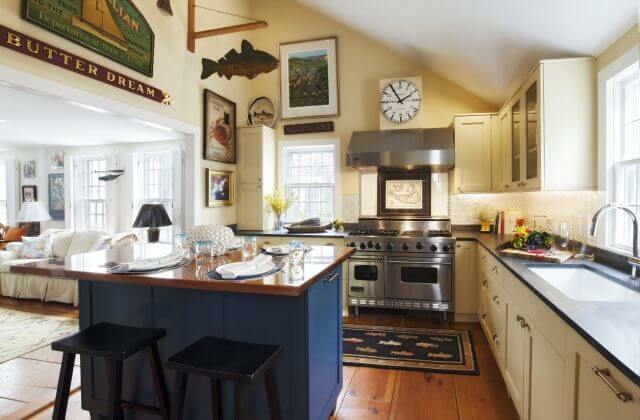 This beautiful, practical, warm and inviting kitchen packs loads of island charm into a small package.